Thanks to everyone who joined the whimsical side of the giveaway! We have a winner! Congratulations to Betty Yoder, who will soon receive a free copy of Fragrant Whiffs of Joy in the mail. I am the final stop on Dorcas’s blog tour, so now it’s time to choose the practical option. 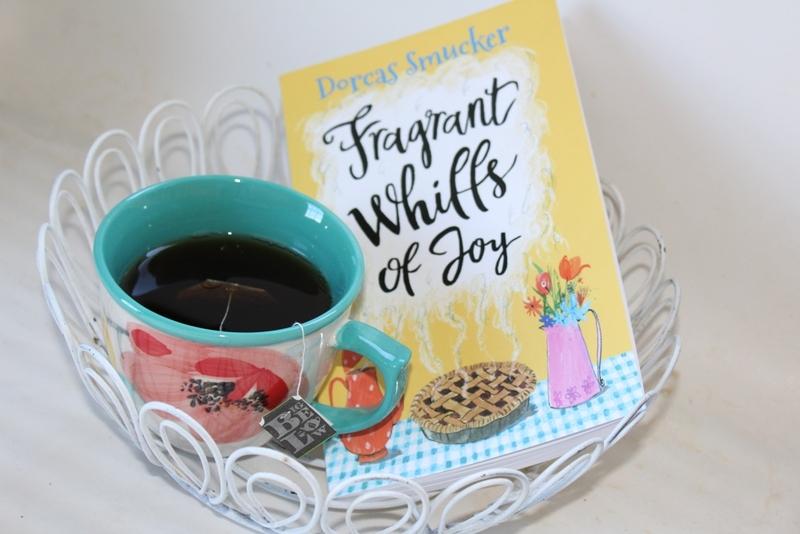 To order Fragrant Whiffs of Joy or any other book by Dorcas Smucker, contact her at [email protected], or 31148 Substation Drive, Harrisburg, OR 97446. Fragrant Whiffs of Joy sells for $12 each plus $2 postage. Checks or PayPal accepted. Also available on Amazon. A full listing of books is available here on Dorcas’s blog, along with a Christmas special that’s good through the end of December. Thank you for your kind words in the giveaway about her blog and mine – we will probably like you for a long time now. And again, thanks for joining the fun! Congratulations Betty! I’m going to order the book from Amazon. Last week they had sold out but today they a few copies left. Betty enjoy your book!